I went into the kiddo's room the other day and noticed that she was getting bigger. So much that the cot quilt I made her (my first quilt!) was getting far too small to tuck down the sides. Cue new project! It needed to be a quick, almost lazy quilt project. I had a pack of charm squares lying about the craft table....didn't really want to spend too much time cutting fabric, since its cooling down fast in the evening nowadays. The charm squares are from the Wee Play range of American Jane. 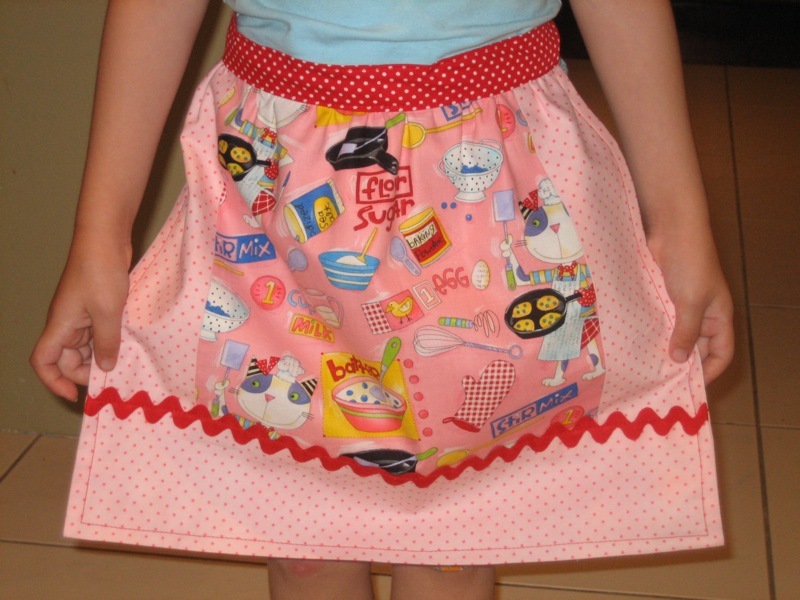 For the backing, I used fabric from Look and Learn. And the binding is the last of the red ruler fabric from Building Blocks. Amazing how they all look good together. But my undoing is the use of the linen. Argh! See what I mean??? It kinda "adultifies" the quilt. And it didn't really gel with the colour scheme in her room. Lesson to me - don't hurry the projects! Fortunately, this wasn't too much of a dud. I kinda like the meshing of the linen with the other prints. I would hate to take this to the vinnies bin. Anyhow back to the drawing board I go....cheerio! Dud?? No way, it's gorgeous! I think the kiddo won’t mind the quilt doesn’t fit the colourscheme, it looks great! She might want to sleep on the couch now! What a great mesh up. I'm sure it will look great anywhere but the couch sounds great. I think the quilt is great! 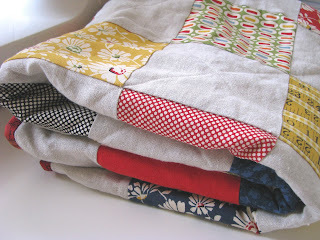 I can't believe that people can just produce quilts like that in such short time! It takes me forever to sew the ends into a piece of knitting! 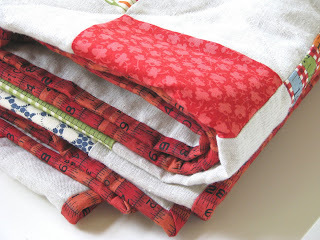 Can't wait to see the plans for the next bub quilt! There's nothing dud about THAT quilt Jade! 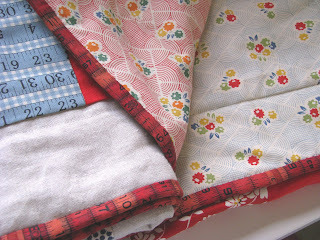 I love quilt fabric and linen together. 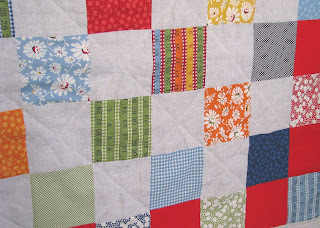 Wherever you decide to use it, you now have a great little quilt to share! I love it! The fabrics look gorgeous together. And even if it didn't turn out exactly how you planned, it never hurts to have an extra quilt floating around... they're lovely to snuggle under in cooler weather, or as playmats and picnic blankets. oh I love it! I think it will be great to cuddle up with ! keira is obsessed with my lap quilt and cuddles under it or wraps her dollies in it....I love the wee play fabrics so cute! It's lovely Jade and I'm sure it will find a special home of its own. I cannot believe how quickly you whip these projects up! What a lovely quilt, the linen does 'adultify' it, but it is beautiful nevertheless!!! Your quilt is divine. I love the use of the linen too - but then I'm a bit obsessed with linen. I think it should take pride of place in your house on the sofa - it deserves to be shown off.